A hard Brexit could damage Scotland’s renewables industry by cutting off access to vital labour and funding, Nicola Sturgeon will warn. 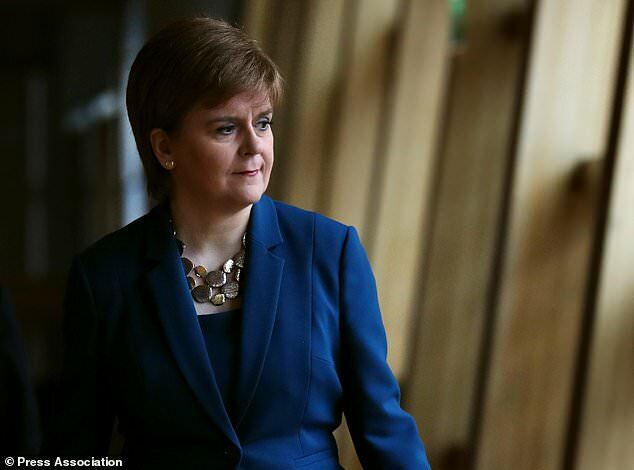 Scotland’s First Minister will urge the UK Government to provide clarity on the future of the sector as she addresses the Scottish Renewables annual conference in Edinburgh. The speech falls in the week that marks one year until the UK is due to exit the European Union (EU). Ms Sturgeon will highlight the importance of the industry to Scotland’s economy, with more than a third of the UK’s renewable energy produced north of the border. She is expected to say: “Scotland has internationally recognised research expertise in renewables. “We also have incredible renewable resources, and a long history of engineering excellence. Those assets give us the basis for a thriving renewables sector and supply chain. “Brexit makes this work rather more challenging. If we are taken out of the single market, it will hinder our supply chain and reduce our skills base. “If we are outside the internal energy market it could affect our influence on issues such as energy regulation and cross-border energy flows, something which is of increasing importance. “And, arguably more damaging to our ambitions, we could also lose access to EU funding. “Scotland has benefited from one of the biggest investments ever made by the European Investment Bank – the £500 million of funding they provided for the Beatrice offshore windfarm. “Scotland has also done disproportionately well from EU support for research and innovation in the renewables sector. We want that to continue. “Although the overall outlook for this sector is hugely positive, we need the UK Government to provide clarity on these points. A hard Brexit could potentially cause harm to our supply chain and skills base; our influence on big decisions on issues such as regulation and energy flows; and our access to funding.